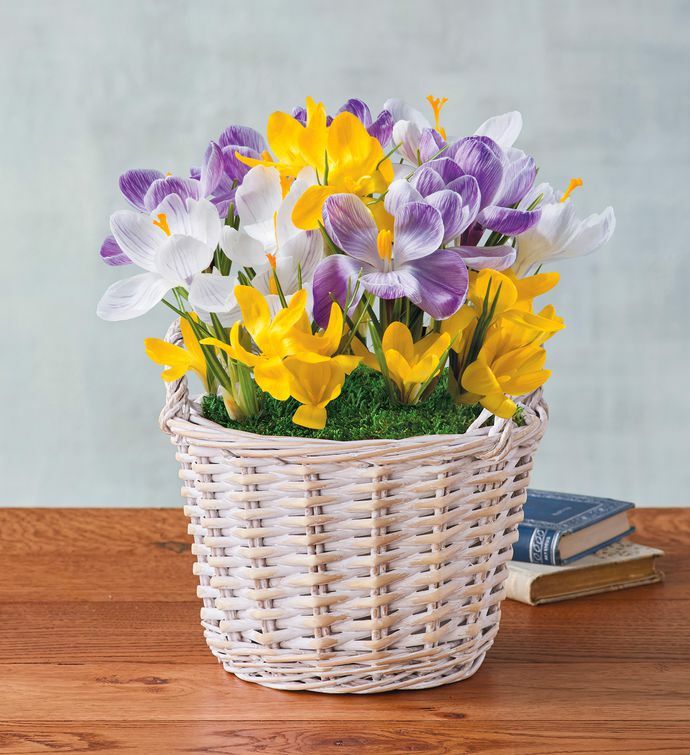 Give the gift of delicate spring beauty with this crocus gift. Purple, white, and yellow crocus bulbs are planted in this delightful woven basket, and will bloom in about four weeks. Often seen as a sign of spring's arrival, this makes a lovely gift for any occasion this season.